Full time, tenured/tenure-track, and non-tenured positions are available at Ecole Polytechnique, as well as part-time adjunct junior and senior positions. It is not necessary for candidates to be French-speakers. Deadline for applications, for all positions, are March 6, 2016, at 23:59h Paris Time. Interested candidates are invited to contact the department for further information. The following positions are open for candidates with a specialization in computer networking, IoT, telecommunications etc. 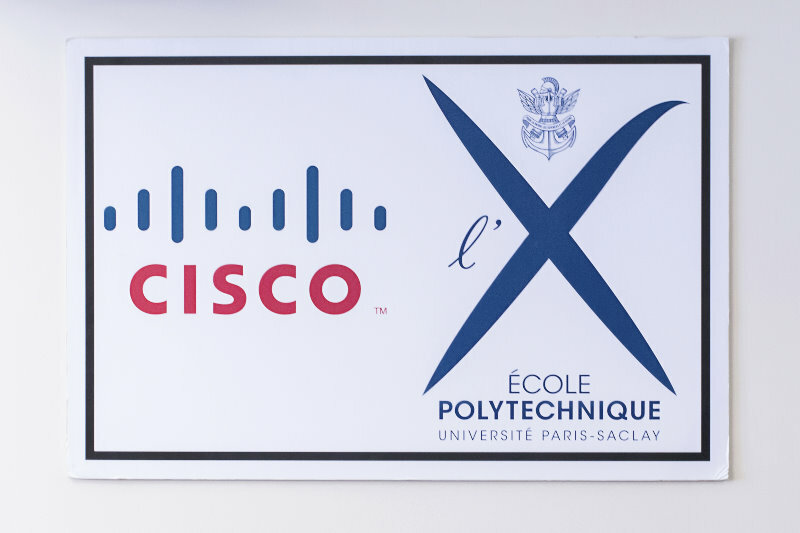 Successful candidates will be contributing to the computer networking curriculum at the engineering cycle Ecole Polytechnique, within the ACN Masters’ program, and within the CO4DiS – “Connected Objects for a Digitized Society” – Graduate Degree Program at Ecole Polytechnique. 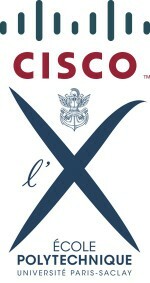 1 full-time research professor position (at level according to qualifications, assistant/associate/prof), in association with the Cisco-Polytechnique “Internet of Everything” Chaire. A research professor position comes with a reduced teaching load, and a 5 year appointment. Candidates are expected to have a PhD. An HDR (or equivalent) degree, while not necessary, can be advantageous. An excellent scientific record within, e.g., network modeling, protocol analysis, protocol and network systems simulations, formal methods as applied to communicating systems, optimization in computer networks and communicating systems, is expected for a successful candidate. Documented teaching experience is likewise expected. 1 position as adjunct “Professeur charge de cours”. The expected teaching load amounts to 60-80h/year, to be undertaken, in priority, within the CO4DiS – “Connected Objects for a Digitized Society” Graduate Degree Program. The position assumes that the candidate already holds a full-time academic or industrial appointment. Candidates to this positions are expected to make a long-term commitment to participate in the pedagogical development of Ecole Polytechnique. Candidates are expected to have an HDR (or equivalent) degree, and will be evaluated on their scientific qualities, academic production, pedagogical skills, and the relevance and interest of their proposed pedagogical project, in the context of CO4DiS and Ecole Polytechnique. Candidates for either of these two positions are vividly recommended to contact me for further information, prior to submitting their application. “Non-earmarked” positions are open for candidates within all sub-specialities of computer science – although development of new exciting graduate degree programs makes candidates with a specialization in computer networking, IoT, Cybersecurity, etc., of specific interest. 1 position as Maitre de Conferences (Assistant/Associate professor) The successful candidate will teach at the undergraduate level (first and second year of the “cycle polytechnicien”) and at the Master level, and will undertake research within the “Laboratoire d’Informatique de l’École Polytechnique” (LIX). Candidates are expected to indicate how they project to integrate into the research teams at LIX. An excellent scientific record, international exposure and experience, excellent communications skills, and teaching experience, is expected. “Non-earmarked” positions are open for candidates within all sub-specialities of computer science – although development of new exciting graduate degree programs makes candidates with a specialization in computer networking, IoT, Cybersecurity, etc., of specific interest. Adjunct part-time positions assume that a candidate already holds a full-time academic or industrial appointment. 3 positions as adjunct assistant professor The expected teaching load amounts to 60-80h/year, to be undertaken, in priority, within the two first years of the “cycle polytechnicien” at Ecole Polytechnique. Candidates to these positions are expected to make a long-term commitment to participate in the pedagogical development at Ecole Polytechnique, and will be evaluated on their scientific qualities, academic production, pedagogical skills, and the relevance and interest of their proposed pedagogical project for Ecole Polytechnique. 4 positions as adjunct “Professeur charge de cours”. The expected teaching load amounts to 60-80h/year, to be undertaken, in priority, within the two first years of the “cycle polytechnicien” at Ecole Polytechnique. Candidates to these positions are expected to make a long-term commitment to participate in the pedagogical development at Ecole Polytechnique. Candidates are expected to have an HDR (or equivalent) degree, and will be evaluated on their scientific qualities, academic production, pedagogical skills, and the relevance and interest of their proposed pedagogical project for Ecole Polytechnique.